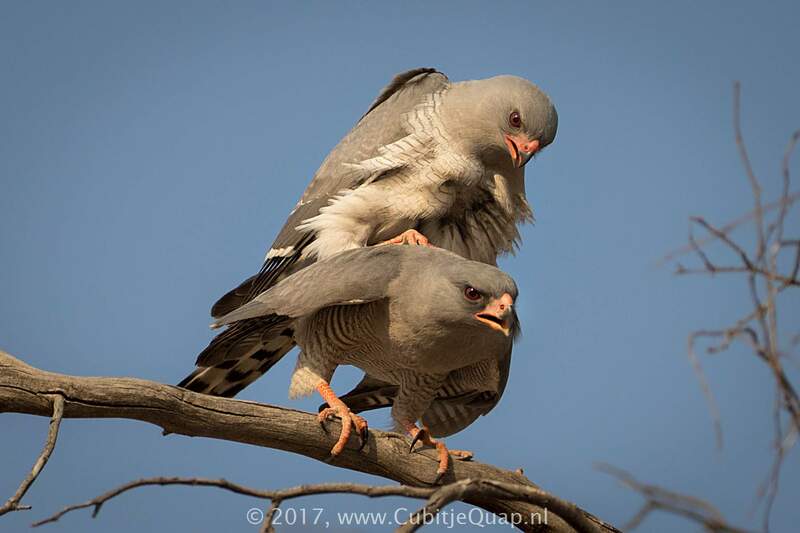 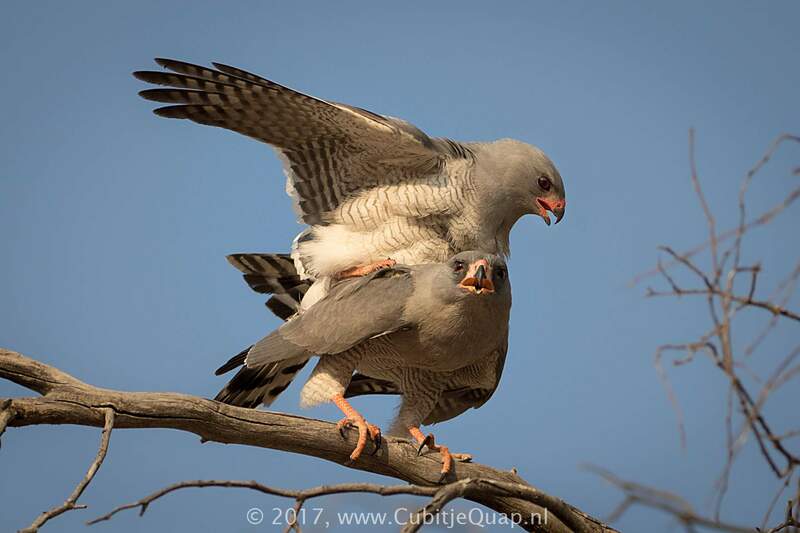 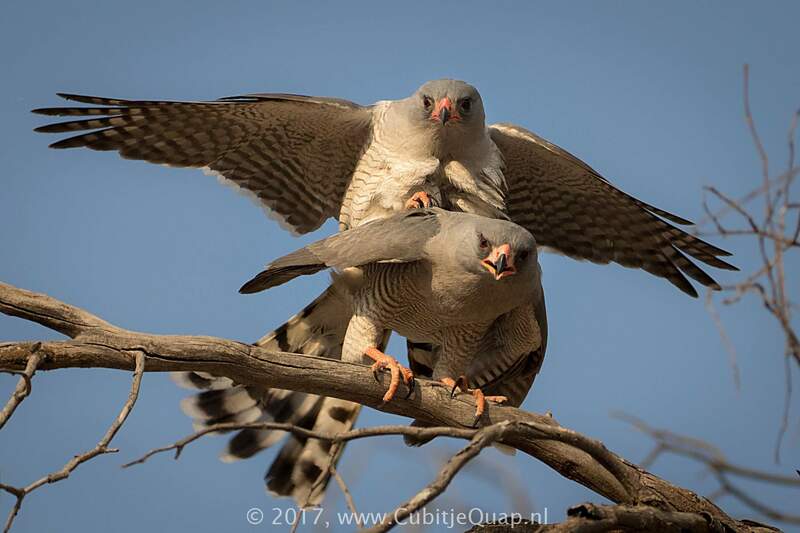 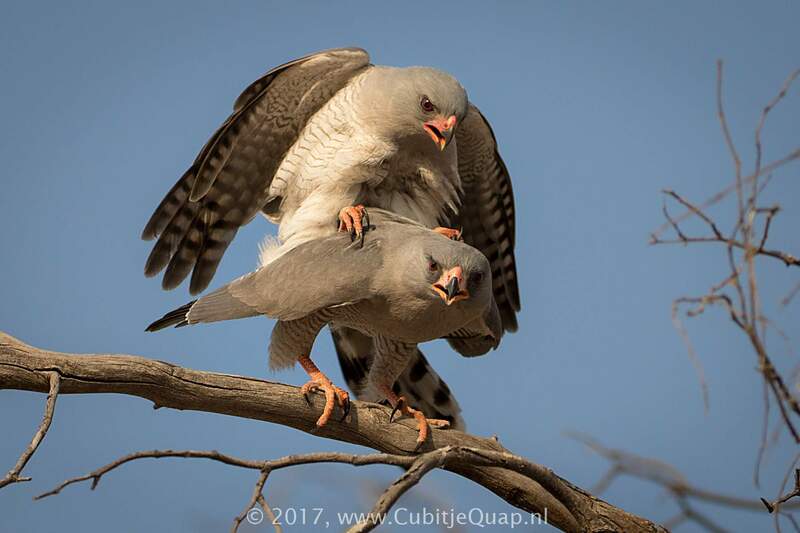 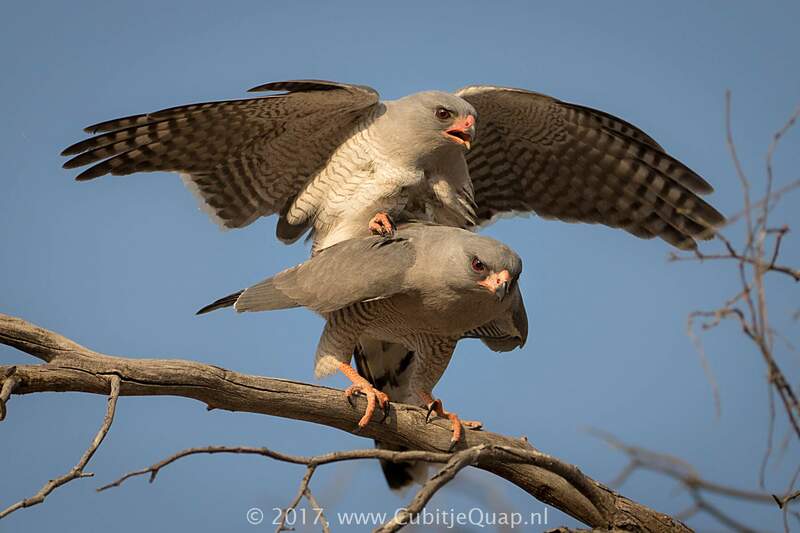 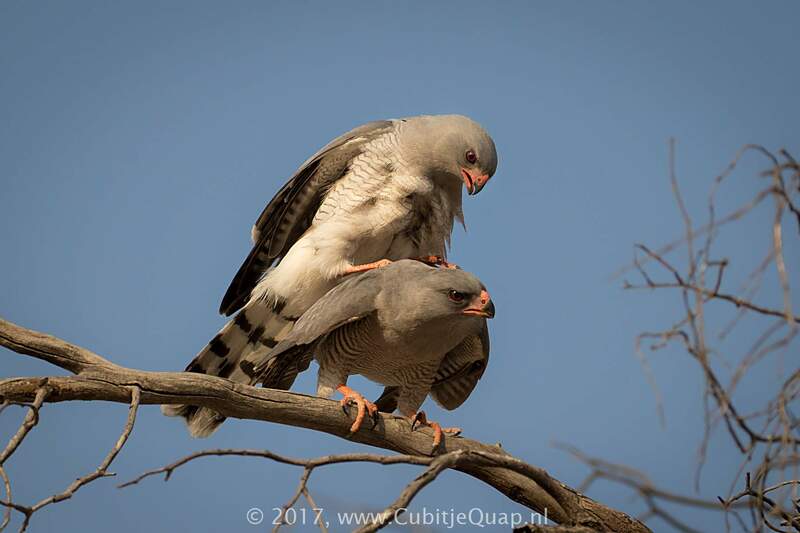 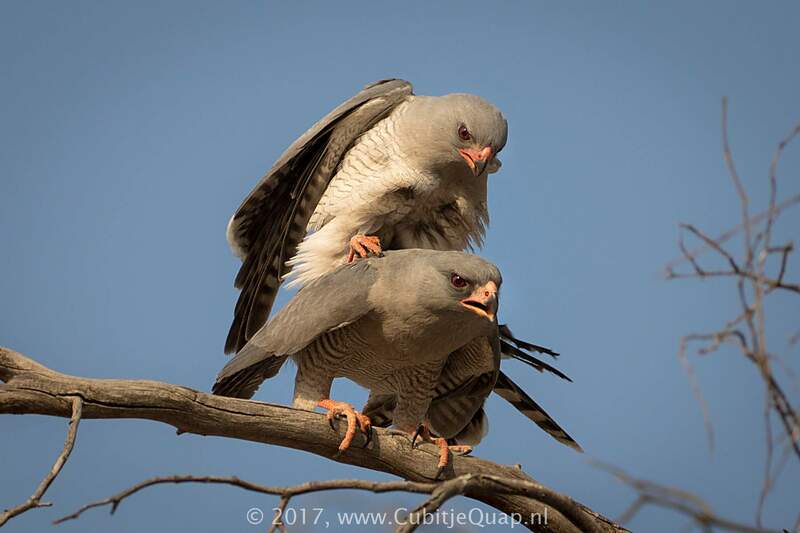 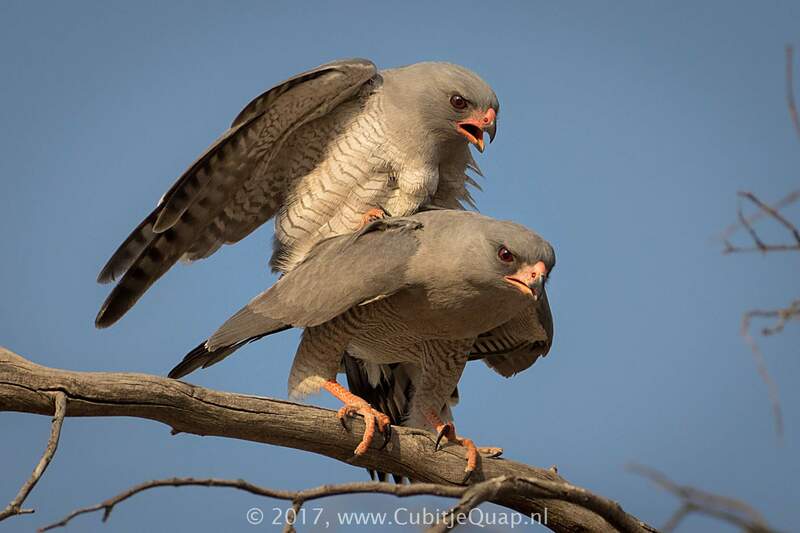 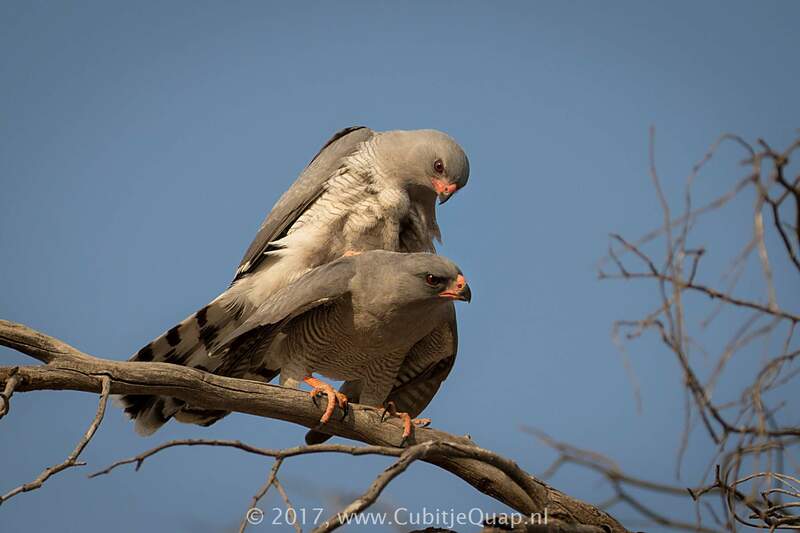 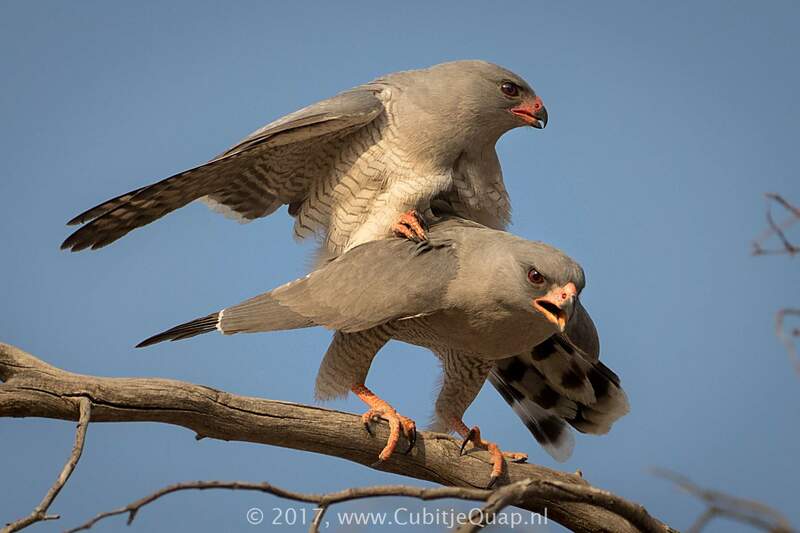 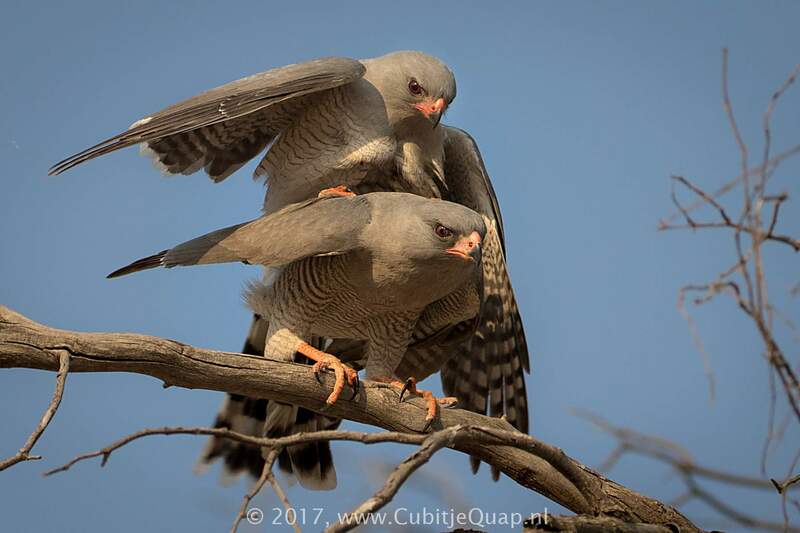 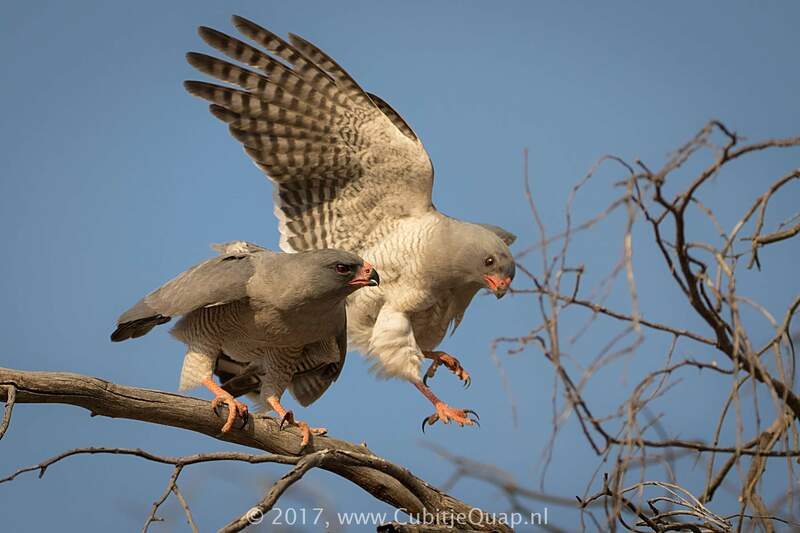 Gabar goshawks are monogamous. 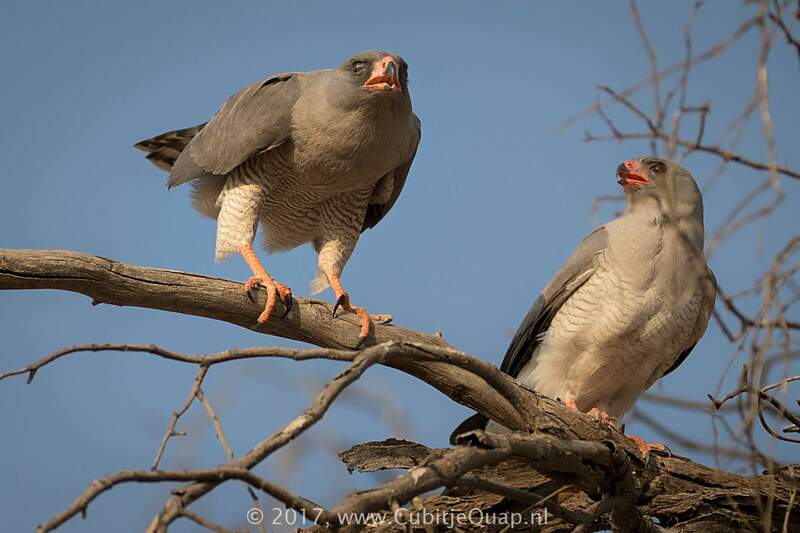 They build their nests using thin twigs, ususally in the fork of a tree. 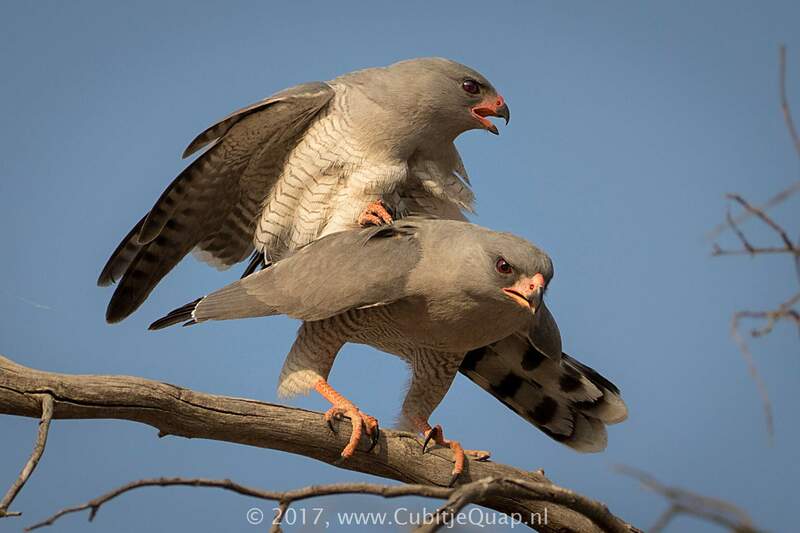 Spider webbings and spiders are incorporated in the nest. 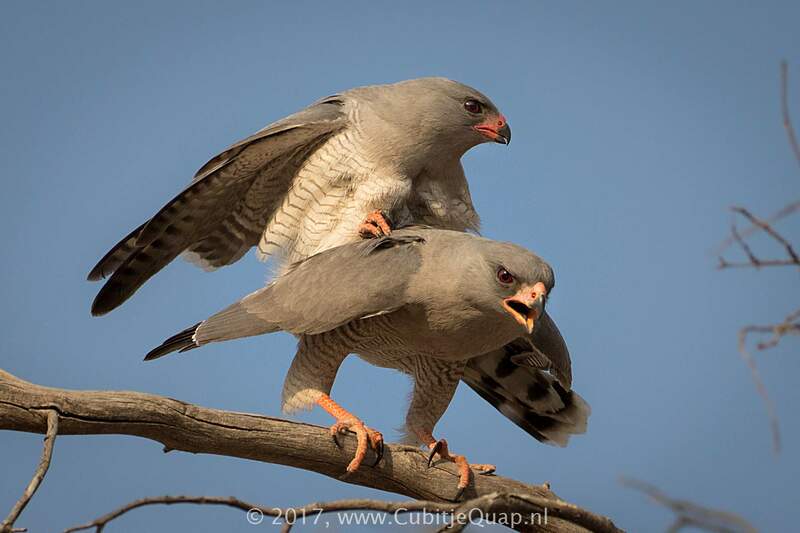 The webbing helps camouflaging the nest and the spiders (especially when they construct new webs, help to keep out vermin. 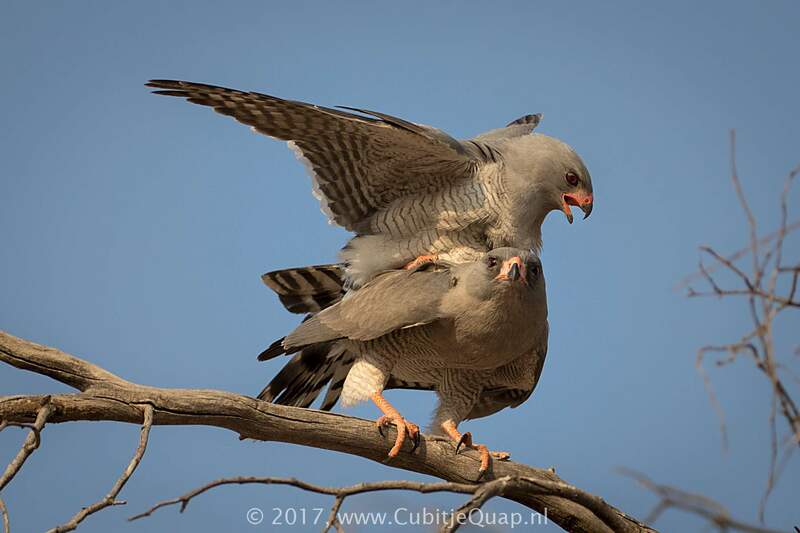 They lay clutches of 2 to 4 eggs. 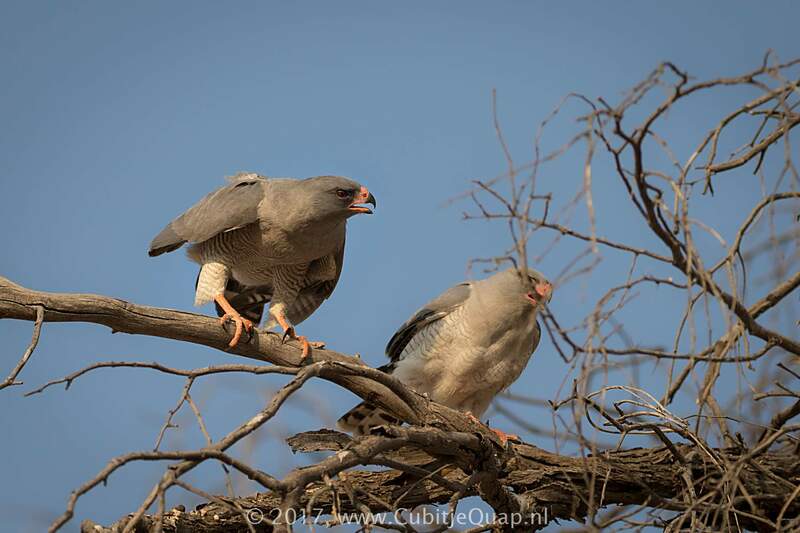 Usualy incubating is mainly done by the female, while the male provides food for her. 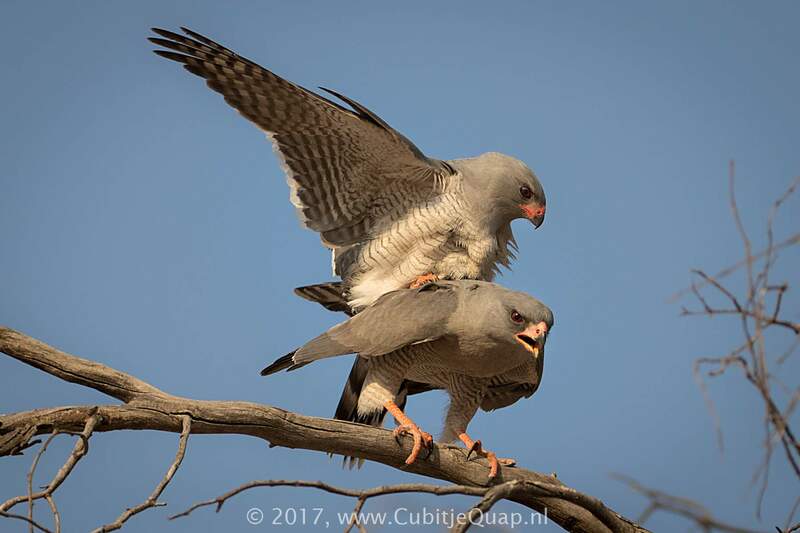 Incubation takes slightly longer than a month (33 - 38 days) and the chicks fledge when they are 35 - 36 days old.